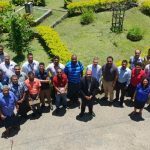 On October 30, the Fiji Ministry of Agriculture (MOA) hosted a seminar on the Agricultural Science and Technology Indicators (ASTI) at the Koronivia Research station in Suva, Fiji. The seminar was officiated by Dr Apaitia Macanawai and delivered by IFPRI ASTI Programme Manager Gert-Jan Stads and APAARI ASTI Coordinator Norah Omot. With this event, ASTI has gone another milestone in Asia and the Pacific, by finally initiating ASTI activities in Fiji, and taking on board all of the 10 countries in the region who are supported for the ASTI activity by the Australian Centre for International Agricultural Research (ACIAR) for 2018-2019. Presentations at the seminar included: introduction to ASTI and its planned activities in Fiji during 2018–2019; familiarize of participants with ASTI methodology, survey tools, and data collection procedures; discuss strategies to enhance dissemination and uptake of ASTI outputs; receive inputs that can feed into a joint research agenda on issues related to investments, capacities, and policy developments in agricultural research; and receive feedback on how ASTI could best be institutionalized in Fiji. 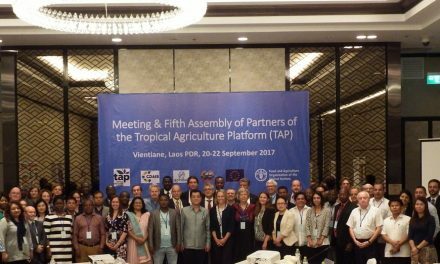 The seminar was attended by 45 representatives from the Ministry of Agriculture, Biosecurity, Sugar Research Institute, University of South Pacific, Fiji National University, the Pacific Community, FAO and ACIAR. Following the seminar, APAARI will work closely with designated personnel in MOA in implementing the ASTI surveys with agriculture research agencies in the country, develop research outputs and publications, and support outreach activities.